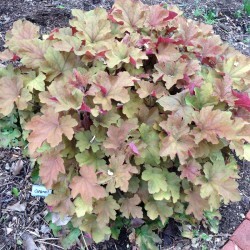 Leaves emerge gray-red in spring and mature to golden-yellow green by summer. . 4-inch deep pint pot, plants ship bare-root. 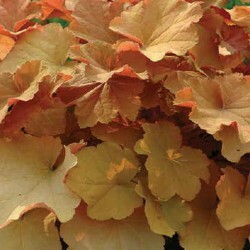 'Caramel' is a robust grower with a fabulous compact habit, forms a tight mound, and looks great in containers or as edging.